Apparently, I've Been Domesticated: Danger Will Robinson! Danger! 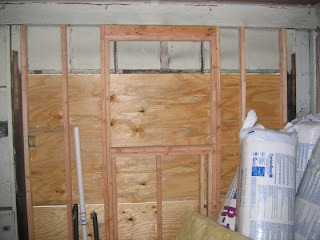 My gut said something was a little off, but I wasn't sure, what do I know about framing? That's when my friend's father, a retired union mason, stopped by and commented that it's obvious how they're doing this so quickly. Uh oh. Then his plumber friend stopped by...more bad news. Same with the electrician and the hvac guy. They said it wasn't the end of the world, but it wasn't good either. So I fired the contractors. Notice how the door is crooked? They obviously didn't measure anything out. They just framed the door and stuck it in, thus the big gap on the top. 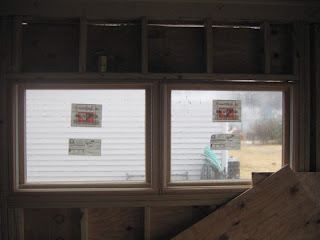 The windows need to be framed since they weren't new construction, but weren't. It's also not shimmed or insulated properly. 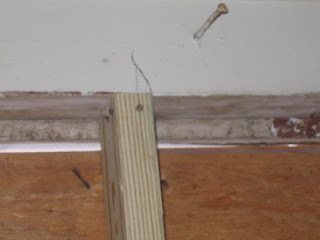 And you can see in most of the pictures that the plywood walls are not cut straight and have gaps well over the penny width spacing they're suppose to have. 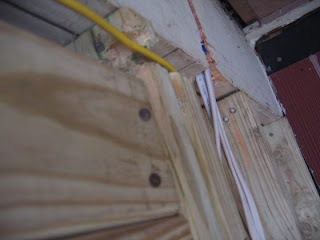 You're suppose to drill holes in the studs for the wires, not gouge out the studs. And where are the wall plates? 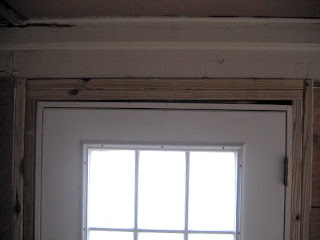 If I screwed into that when I hung up a picture or cabinet, I could've set the house on fire! 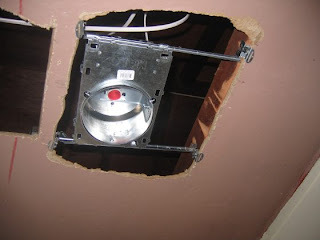 Since they were installing the recessed lights already, I'm guessing they planned on installing the new ceiling right over the old one! Yeesh. 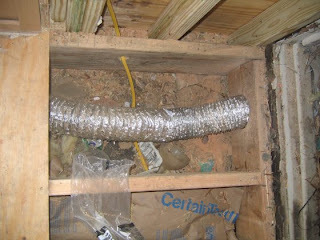 Under no circumstances do you use 4 inch disposable dryer ducts for regular heating ductwork. Never. 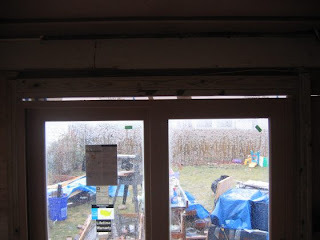 Even with the generic Tyvek they used, I already started getting water after a big storm. You live and you learn, I guess. I'm just glad I found out what was going before it was too late. My friend said it would've probably been okay for the first couple of years, but then I would've had all sorts of water problems. That is if the house didn't burn down from their shoddy wiring first! 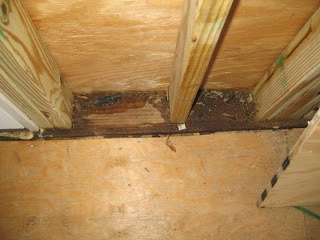 Wow, that is some horrible contractor work! Glad you caught it in time!